Industrial Automation, Automatic Systems, Servicing, Handling. 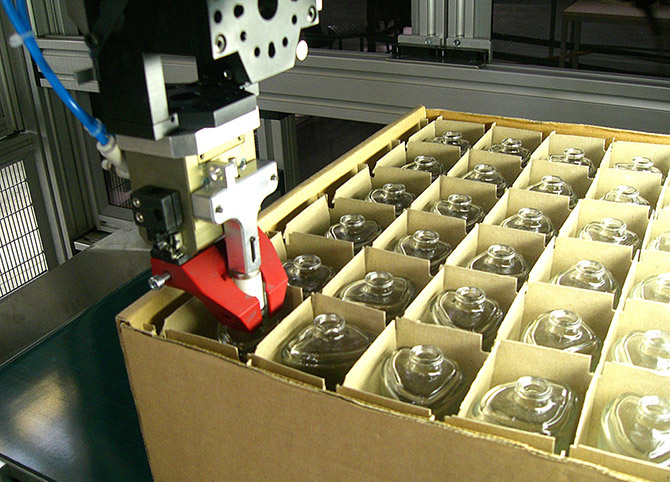 The ability to make automations for the depalletization of glass vials is well-grounded in the know-how of the company. Using an optical vision system specially designed for the recognition of glass shapes and robots with grips whose design comes from our experience, we quickly assemble decorating machines or fillers without loss or damage to the items. Likewise, discharge from the tempering lines and palletizing for us is equivalent to running the machine in reverse. 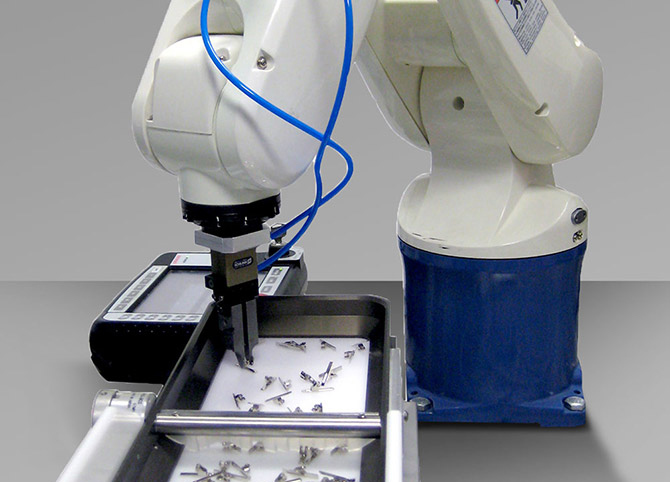 Industrial manipulators for robotic tending systems often involve the need for recognizing and picking small components. For the eyewear we have developed a system for loading and unloading a press with a vision system. Our automation, after recognizing the right and left hinges, positions them in the co-molding press. It then outputs from the press, cuts and discharges the rods by differentiating them according to the orientation. For sectors with small production lots, we designed and developed a fully automated format change. The jewelery labeling line allows our customers to insert their customers’ packs into the input ribbon without pre-ordering the sequence. 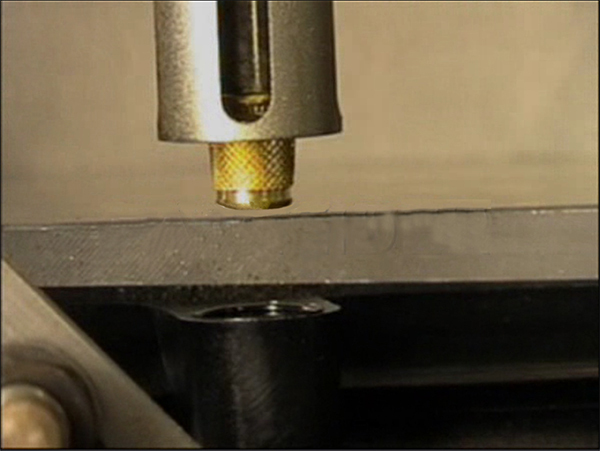 The vision system automatically recognizes which gripper the robot should use to pick up the piece in addition to setting the right pre-heated pad to perform hot stamping. Automotive automation products are synonymous with precision and efficiency. For a major automotive manufacturer we realized a system that inserts the metal bushes into a plastic inlet manifold. The bushings are friction welded to the casting through continuous control of rotation and insertion torque.